Dan Gordon is a spy for the CIA. He is also a lawyer for the U.S. Justice Department specializing in asset recovery and intelligence gathering. He is also a former Mossad agent, decorated and considerably experienced. Born in Israel, Gordon joined the Israeli special forces when his time for the military came. After his 30-month stint was over, he entered university where he earned a degree in Internation Relations. Knowing that his job prospects were not good unless he worked for the government, Gordon was looking for anything to pay the bills. That was when he was approached by Mossad. His military talents coupled with his schooling made him a prime candidate and he was hungry. He stayed with Mossad for several years, taking part in numerous missions until his cover was blown and his covert effectiveness was destroyed. Rather than take a desk job, he elected to resign. For a career to last the rest of his life he chose to return to school, study law, get his degree, and then move to the U.S. Soon he was offered a job with the Justice Department based on his international knowledge and his understanding of the intelligence communities. He found that even fairly innocuous cases can mushroom when countries are involved. But his latest professional change came when he was approached by the CIA. In view of his frequent trips abroad mandated by his work with Justice and in light of his history with Mossad, he would make a terrific asset, one not likely to be thought a spook because everyone knew he was a shark. 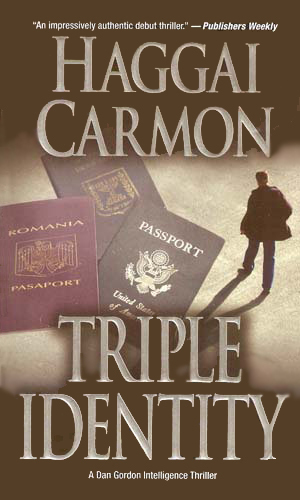 Thinking he was tracking a Romanian who had stolen ninety million from a failed American bank, Dan Gordon soon discovers that this is just the tip of a conspiracy that extends across Europe to the Middle East. What started as a routine case of Russian mafiya money laundering turns out to be the first step in a plot to purchase an illegal bio-terror weapon for a devastating goal. 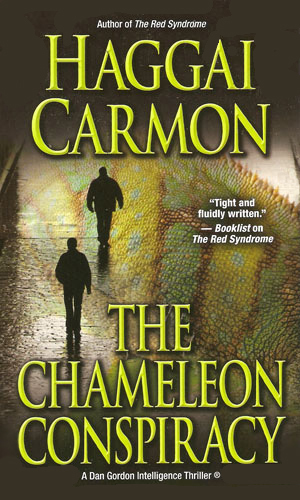 The Chameleon was an international criminal and con man, notorious throughout the world. 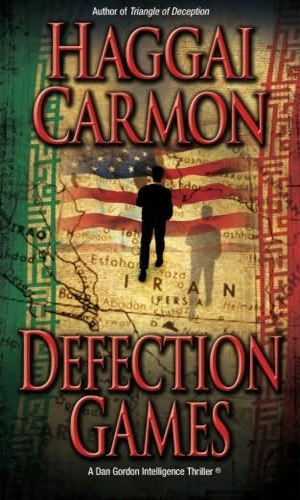 He was Dan Gordon's target and Gordon was certain he finally had him but once again the Chameleon slips away. That's when Gordon finds his nemesis is really an foreign agent and things are never what they seem. 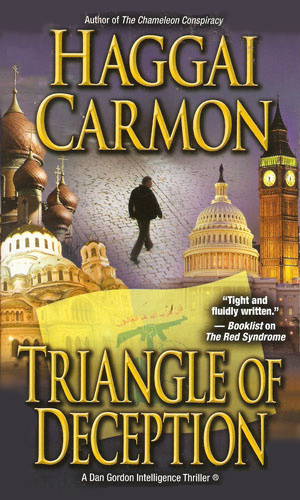 The plan was to go undercover to find out who was funnelling money to the Hezbollah but Dan Gordon starts to worry that it really was a plan to set him up. Asked by a joint CIA/Mossad team to assist in a mission to get a defecting general from Iran to get out of that country. While he is risking his neck behind enemy lines, he quickly learns that there are some in control who do not want the same goals as he does. When the author of a series about a former Israeli agent who becomes a lawyer for the Justice Department turns out to be a lawyer for the Justice and State Departments who worked in Israel, well, you know the accuracy is going to be there. When this author also writes well, you have a darned good series. 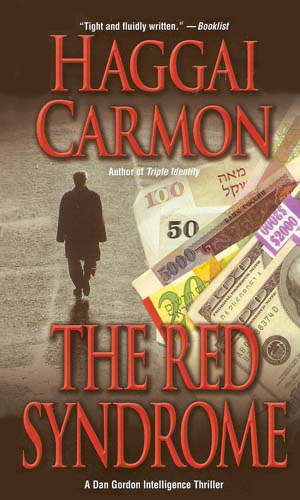 Mr. Carmon is that author and the Dan Gordon series is good. Very good. Since the character is not only a trained operative, resulting in lots of hard action and excitement, but is also a lawyer trained in International Finance and Law, the legal aspects of the plots are every bit as thrilling. This gives the reader two different reasons to enjoy the books. Finished the 1st book in this series a couple of days ago & was far from overwhelmed with it. As with many authors, hoping that the writing improves with subsequent books. Maybe it's just me but I very much enjoy books with a lot of action in them & found the book very lacking. Have the 2nd book & will be giving it a shot in the near future hoping that it's better than the 1st! !